Here at Maintenance Services Direct we love to share vital information to help ensure everyone is safe at all times. 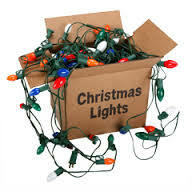 The christmas period brings joy and happiness but is also fraught with danger, this is due in part to the fact that most people put up Christmas decorations which includes interior and exterior lighting. With this in mind we found this article which we would love to share with you guys and girls. To help prevent the most common electrical problems with Christmas lights, and to enjoy a safe and happy festive season, we recommend the following simple precautions and checks. The above article was taken from http://www.electricalsafetyfirst.org.uk. Here you will find lots of valuable advice on electrical safety and much more more besides.